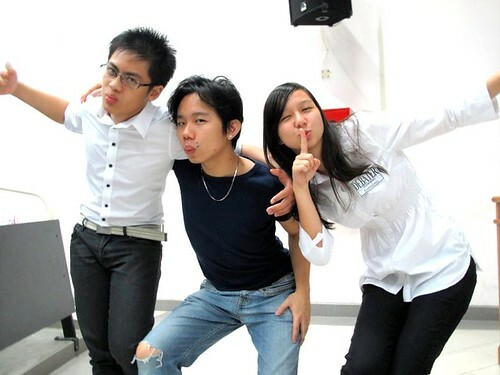 St Michael’s Institution, Ipoh (SMI) defeated SMK La Salle Petaling Jaya to win HELP University College’s Tan Sri Datuk Paduka Dr Hajjah Saleha Debate Cup 2010. St Michael’s was previously national runners-up for HELP (2006, 2005) and Wira a couple of years back, and I think this is their first trophy in many years.Very nice! Today I was pleasantly surprised at the honesty and courage of young Malaysians. What was different this year, however, was the audience participation. A few of them stood up and expressed their disappointment with the debate. One of them said something to the effect of the debate “being of lower secondary school standard,” and that they expected so much more from Oxbridge students; glamour, prestige, and all. Other comments included the overemphasis on trivialities and specifics rather than general, more pertinent points and arguments. In all honesty the kids were absolutely right: there was a (not-so) shocking lack of analysis and argumentation from both teams. There was no clash: both teams failed to grasp their rival’s points and either brushed the arguments off or constructed strawman arguments. Bad debating. The kids were really confident and assertive in speaking out and critiquing the mediocre performance of both teams. It was actually quite cute! And mind you, these are secondary school/pre-University kids! So in general the audience feedback was quite scathing lah. One part of me was so proud of them for being so courageous! Criticising Oxbridge students man in front of the entire floor. Got balls. I like. The other part of me was cringing for the poor debaters on stage. 🙂 Quite painful lah, to receive public criticism. I think some of the kids were hell bent on humiliating the debaters because they expected “an intense & fiery intellectual discourse.” Ouch. Cadangan ini tidak berkesan sangat, kerana para pemenang berkemungkinan besar akan diberi biasiswa ke universiti luar negara. If you’re smart and you go to a PPM school, you will be head-hunted. Kenapa hanya PPM? PPM < Wira. 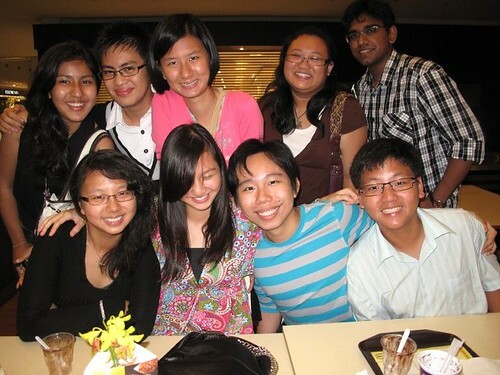 And Wira < HELP < IIUM, in terms of competitiveness, caliber, and all-round debate goodness. Kedua-dua perbahasan PPM dan Wira merupakan pertandingan yang dianjurkan oleh kementerian. Jika biasiswa hanya diberikan kepada pemenang PPM, cadangan ini merupakan sesuatu idea yang elitis dan tidak adil, sememangnya kerana perbahasan Wira lebih kompetitif (bilangan sekolah yang jauh lebih banyak) dan representatif (kawasan geografi yang lebih luas). Congratulations SMK Convent Ipoh (also known as Main Convent), Perak for winning the 2009 Datuk Wira Abdul Rahman Arshad National Debate Cup! 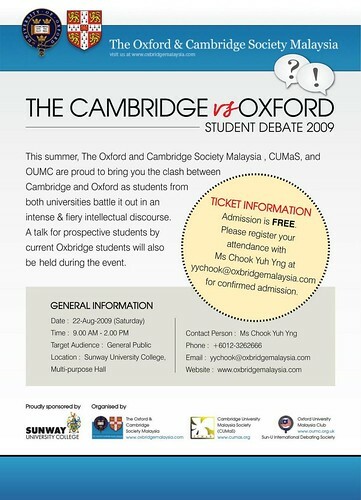 HELP Debate 2009 champions SMK King George V were national runners-up, and I suspect that both were composed of the same debaters. Good job! Note that this is just about the first year when there have been no winners from the Klang Valley! Hahaha. It is the year of the underdogs; the year of the other Malaysia. Love it. The hegemonic center of debating power is finally weakened man. Yay Perak, Sarawak, and Negeri Sembilan. So in the last ten years there have been, crudely speaking, 33 national debates. This is not exactly accurate as Taylor’s and the early stages of HELP and IIUM were mostly regional debates and thus Klang Valley-centric. So despite this year the Selangor-KL dominance is still pretty obvious. This year’s Wira was really early! Surprising.